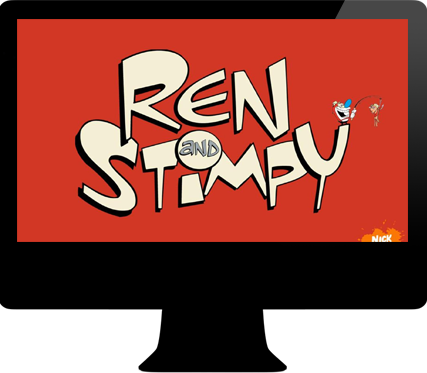 Ren and Stimpy - Your online Ren & Stimpy fanclub source! 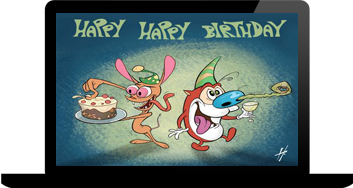 We have one of the net’s largest collections of Ren and Stimpy information, products, news and videos! If you want to view the best collection of Ren and Stimpy TV shows and other clips, then look no further! For those who are maybe new to Ren and Stimpy then check out our overview, and even if you are not new we have a nice recap on the history of one of the most grossest, rudest, and controversial TV animated series in Nickelodeon history. All 5 of their hilarious seasons with a listing of episode titles, recaps, summary, and air dates. A total of 53 episodes from the original series. The guide also includes their very short lived adult series that aired on the Spike network entitled “Adult Party Cartoon” which unfortunately only included 7 episodes in one season before the entire animation studio on Spike’s network was closed down. We have the best Ren and Stimpy quotes categorized by episode right here. All of the hilarious one-liners and slaphappy humor are captured here. And yes even those grotesque and often controversial quotes are all included here. So what are you waiting for you eeeediot! You know that you want to get your “Happy Happy Joy Joy” dance on reading all of the infamous and totally crazy quotes. We are your #1 source for Ren and Stimpy! We have all of their video’s, wallpaper’s, photo’s, merchandise, and more! 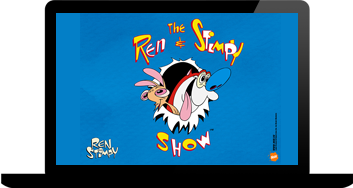 We are your bonafide Ren and Stimpy fan club source and our goal is to organize the largest collection of Ren and Stimpy content in the world! Please show us your love and support our site! We have the largest selection of Ren and Stimpy TV Shows organized and collected in one place, as well as a large collection of their infamous quotes. All of the characters from the TV show are on our site, even those rare ones that only made a few appearances. We are huge Ren and Stimpy fans here, and glad to be able to share our love of the series with everyone and hope that you enjoy our website. 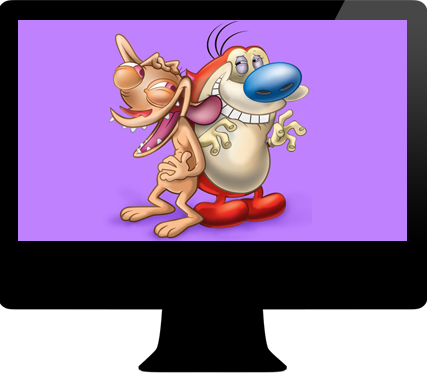 Please feel free to download any of our Ren and Stimpy Wallpapers, themes, or support our website by purchasing any of our Ren and Stimpy merchandise and products.